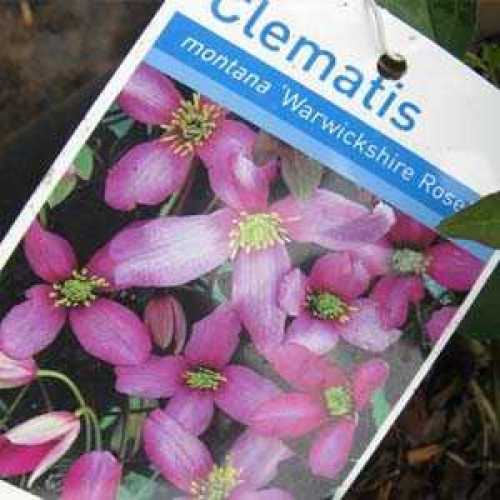 Clematis Montana Warwickshire Rose is a lovely, vigorous climber. It has palm-sized sweetly scented single flowers that have four beautiful curled pink petlas and a dominant yellow centre. The flowers appear from late Spring to early Summer and are followed by attractive seed heads. Please note that the 20ltr Clematis is supplied on a trellis.